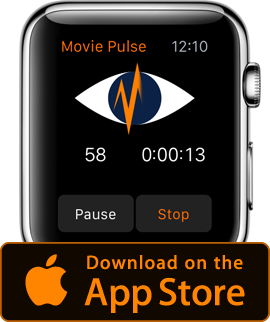 This movie might be “THE” visual expression what this project “Movie Pulse” is all about – movies have a straight entry point to our emotions: our eyes. I visited the interfilm festival in Berlin in 2014 and have seen “Par desmit minutem vacates” (engl. “Ten minutes older”) by Herz Frank. This is just an excerpt, because I assume you’re not in a cinema-like surrounding. It’s an audience of almost only children, seeing a movie or theater play (no one really knows, my research told me). Their expressions are so intense and change from one emotion to another in fractions of time. This experience can only be achieved in a cinema/theater, in my honest opinion. If you know what those children see – please tell me. You can read more about the movie, Neil McGlone wrote an article about it at cinemaofchildhood. And there was a full length feature movie which inspired me as well. At the end those little pieces – seen a picture here, watched a movie there and reading various sources are the components for making a decision to build an app like that.